A new study published in the journal JAMA Oncology reports that impotence or erectile dysfunction (ED) is usually associated with childhood cancer survivors. A large study which involved 1021 cancer survivors treated at St. Jude Children’s Research Hospital Tennessee showed that 29% of these patients were reported to have erectile dysfunction. The study also revealed that Hispanic and African American men who survived childhood cancer had a greater risk for subsequent ED. In the current study, the median age of the study participants was 31.3 years. 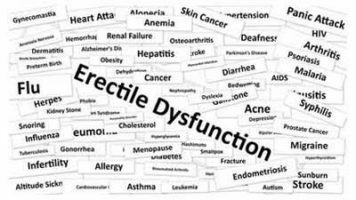 Patients were regarded as having ED if they had a score of less than 25 on the validated, 6-item version of the International Index of Erectile Function. Men with low testosterone levels, defined as morning serum concentrations less than 250 ng/dL, were almost twice as likely to report ED as men with normal levels. Younger age at the time of the study was also an independent risk factor for ED. The researchers gave a probable explanation that ED in male childhood cancer survivors might be a result of the treatment they received for their cancer. According to them, hypogonadism could be an underlying factor driving ED in survivors, but other late effects of therapy and their treatment should also be considered. “This finding may be a reflection of the differential age distributions across tumor types. Protocols to treat patients with brain tumors were introduced at St. Judes in the mid-1980s, and this association is likely driven by the robust representation of young survivors treated for brain tumors in our study, which is a population at risk for hypogonadism,” said Klotsky, the lead author of the study.